FRESNO, California (KFSN) -- Houston is about to be blessed with its very first In-N-Out. As a result, it seems some employees at our sister station, ABC13, have lost their minds in defense of the celebrated Texas chain Whataburger. They delivered a list of seven reasons Whataburger tops In-N-Out. Although they say everything is bigger in Texas, we have eight reasons the California-based In-N-Out will win the burger battle. Our list is bigger, just like the economy of California's is bigger than that of Texas. 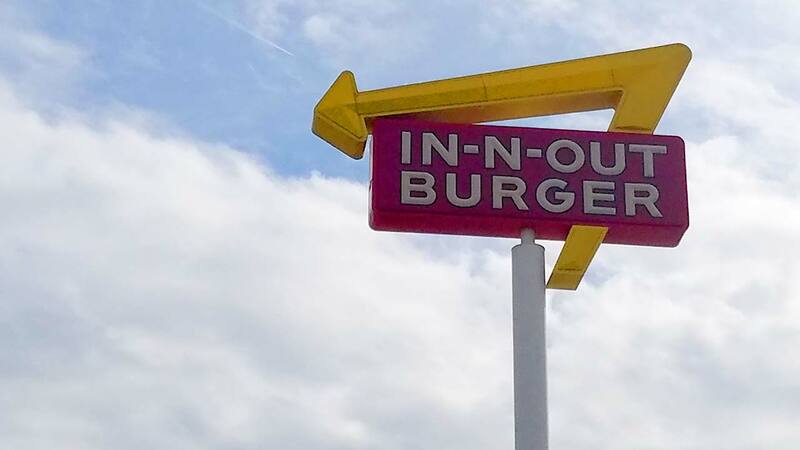 These eight points of In-N-Out excellence are strictly the opinion of Action News anchor/reporter Corin Hoggard, who worked at ABC13 for six years and dined at the nearby Whataburger many times. The In-N-Out menu is simple and straight forward. But there also is an extensive secret menu. And you can have your meat cooked the way you want it. Medium-rare anyone? Do you want one patty or two? Add cheese? How about fries? Great! Pick a drink and you're done. Whataburger isn't even sure what kind of burger you're going to want and their indecision shows in a complicated menu diluting the burger purity. 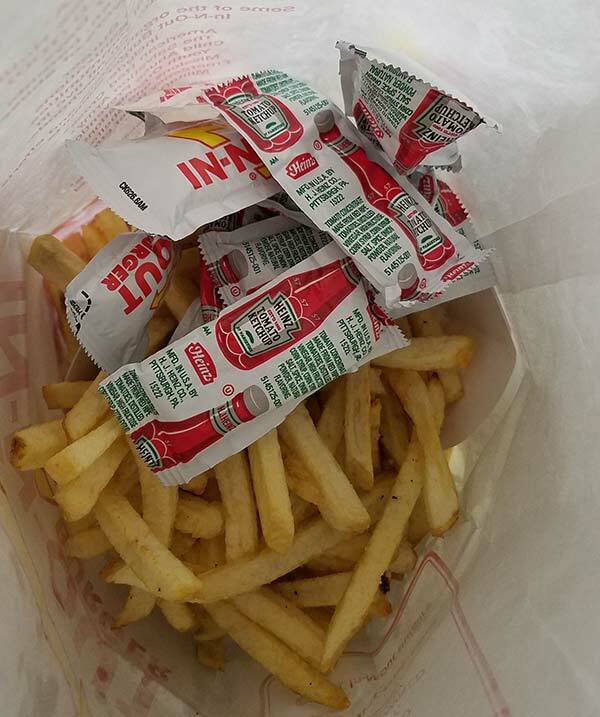 These In-N-Out fries were real life potatoes just moments before being sliced and put into the fryer. Of course you can watch this happen as you wait for your lunch. In-N-Out's french fries are scrumptious potato angels. Minutes before you eat them, they were real live potatoes. The open kitchen allows customers to see how the fries are made, and it's nothing like the sausage on a Whataburger "breakfast on a bun." It's divine. Employees cut fresh potatoes, put them in a fryer, lightly salt them and serve up a basket of tasty tubers wearing halos. Eat them first for a heavenly experience. From a four-patty burger to a root beer float, they're open to innovation. In fact, if you can figure out some new way to finagle their ingredients, they'll make it. VIDEO: ABC30 employees discuss why In-N-Out is better than Whataburger. One of the worst kept secrets on the secret menu is the animal style order. It's not just a sauce. It's an experience. Your standard single, double, or quadruple is topped with pickles, a little bit extra of the special sauce (a tangy, peppery variation on Thousand Island), grilled onions and mustard -- all fried onto each meat patty. The resulting combination is a bit sloppy, but well worth the embarrassing bib you'll need. During lunch time, In-N-Out employees stand outside and take orders. No need to yell into a painted post and hope they get your order right. The gear is a throwback to a time when roller skating servers delivered your daily dose of delicious. These white pants are always pressed. The shirts remain white. 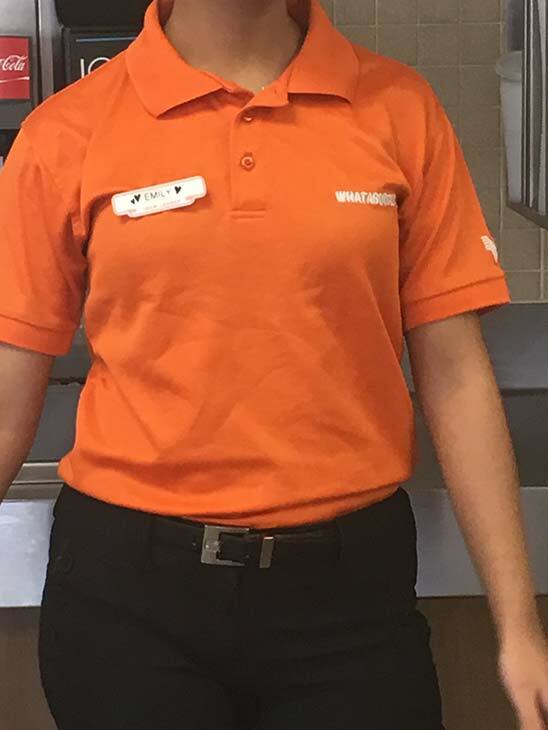 Employees, who always seem thrilled to be there, have to change if they get some animal-style on their uniforms. Real recognize real. If you like the paper hats, ask for a paper hat. You'll get one. I promise they're nicer than the crowns we gave away when I worked at Burger King. Houston loves its native daughter Beyoncé and Beyoncé loves her In-N-Out...with champagne. Now that she's pregnant with twins, she'll have to cut out the champagne, but we can't count out a craving for a double-double. Last on the list, but first in our minds and stomachs. Flavor to savor that doesn't waver. An In-N-Out burger always tastes like the freshest ground beef just got pounded into a patty and thrown on the grill, then served hot. The patty has a homemade texture and hits the tongue's sensory organs like a gentle reminder of how luscious the world can be. The lettuce is always crunchy. Their motto, and we're not making this up, is "Quality You Can Taste." They back it up. Whataburger has a very nice mustard and pepper combination, or spicy ketchup if you prefer, but the toppings often overpower the burger, and the restaurant delivers a slightly tougher patty that just tastes a bit like "manufactured meat," as my wife describes it. 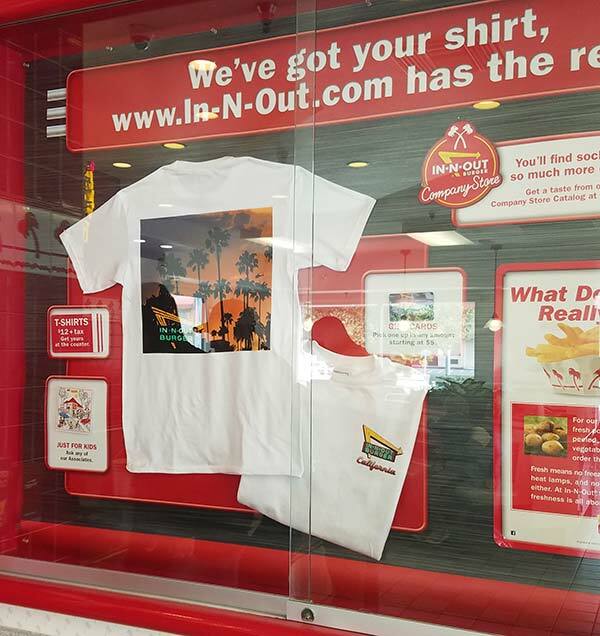 In-N-Out has great stylish t-shirts that reflect Southern California's style - you'll want to buy them all! Verdict: In-N-Out wins in a landslide. I never requested an Action News poll conducted by Survey USA, but the vote is unanimous in my house. "You're making me want In-N-Out," said Joy Hoggard as she reviewed my first draft. Whataburger may always rule the Lone Star State because of how deep its roots run, but you can bet In-N-Out will keep forcing the issue in Texas. Houston will be the state's last major market where the chain rolls out its franchises. Its success in Dallas-Fort Worth, Austin, and San Antonio has prompted expansions in each of those markets. But there's still hope for Whataburger to make inroads in the Golden State. "In-N-Out is my second favorite," said my mother-in-law, Sharon McVay. "Whataburger has more meat. It's a big burger." She might just move to Texas. Editor's Note: After some research, we found that Whataburger did have locations in California, but they were shut down in 1987. It is unclear how many locations there were or why they shut down. One ABC30 employee recalls at least two locations in Ventura County in the mid-80s.